It seems hard to believe, but School’s out, and we are already a week and a bit into the summer hols! With great reports we told the Small People they could choose something to do as a reward. They chose to go camping straight after school finished, and who were we to argue? I am not what you would call a natural camper. Not all that much appeals to me about it if I am honest – from the inevitable struggle to put up the tent in the first place, to the lack of sleep caused by someone snoring near by. And then there’s the early mornings… Granted kids sleep for England thanks to all that fresh air, but once the sun rises, the temperatures tend to as well, and that’s it – everyone’s up and it’s only 5am! 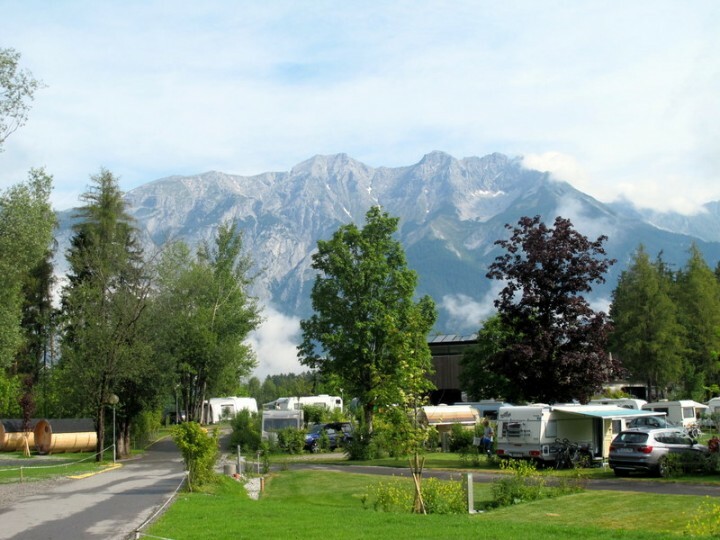 Natterersee is truly a family affair, and prides itself on being a 5 star campsite. Our caravan – if you could call it that – was perhaps the most luxurious camping accommodation I have enjoyed to date – clean, modern and more than comfortable. Plus it had its own bathroom obviously, so there was no staggering across the camp-site in the middle of the night with a small person needing the loo! 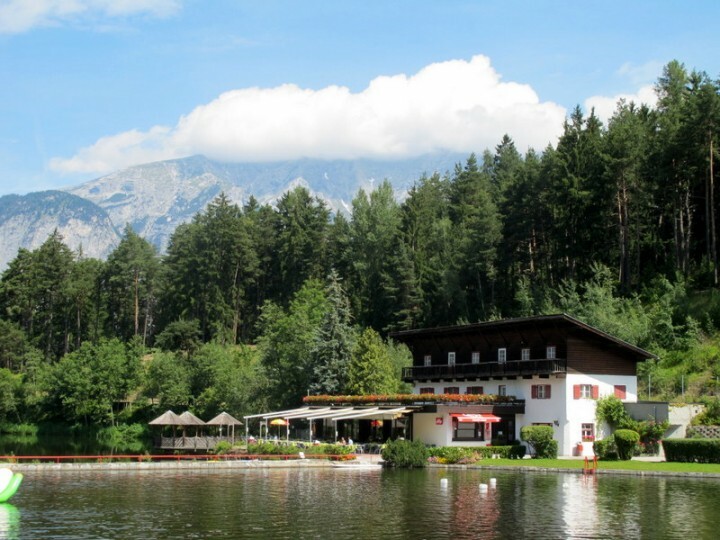 With Innsbruck a mere 15 minutes up the road, Natterersee has so much going for it. The staff are super friendly and helpful, and English is widely spoken by all should your German fail you. And if like me you don’t want any camping difficulties, the sleeping options are huge and there are tents already put up for you, if like me you hate that part. Or, how about something completely different? Toad of Toad Hall style camping anyone? Within minutes of being there, we all begin to completely relax and unwind… Not only was it great for us grown ups in terms of de-stressing, but Natterersee was complete heaven to the Small people – who chose to spend most of their time swimming in the huge lake (I know the idea of lake swimming might sound somewhat alarming to us Brits, but it’s the way to go in this part of the world – trust me!). 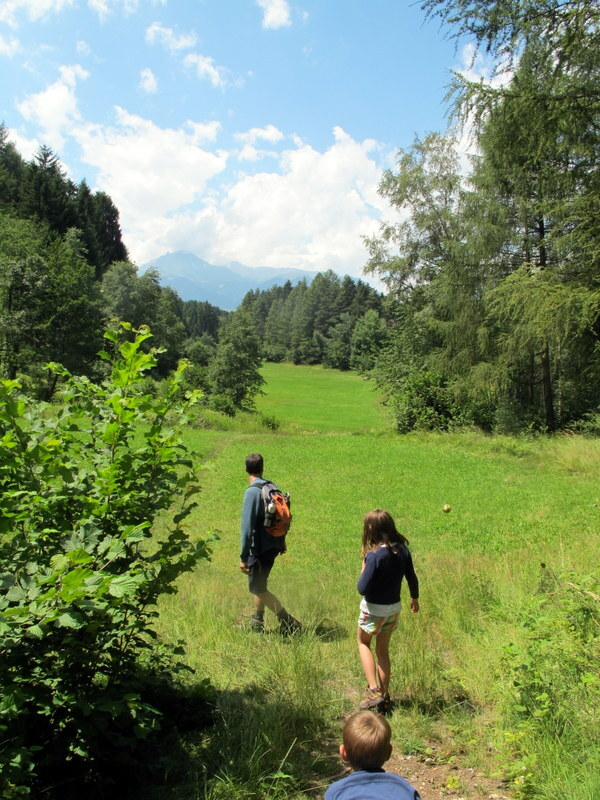 And when we weren’t swimming, the surrounding countryside was equally gorgeous to explore! As an added bonus we visited at a time when tiny frogs were quite literally everywhere! Granted, this aspect might not appeal to everyone, but they were incredibly cute, and if you are aged seven and nine, collecting them and “helping them to safety” will keep you occupied for hours! I might not be tempted to buy the “number” plate above for my car, but on this trip I almost found myself agreeing with it. We will return undoubtedly at some point! I would totally sleep in one of those circular log like cabins. They look so cute! I’m not a camping person at all, but I do love the outdoors! This looks perfect for me, those cabins are so cute! 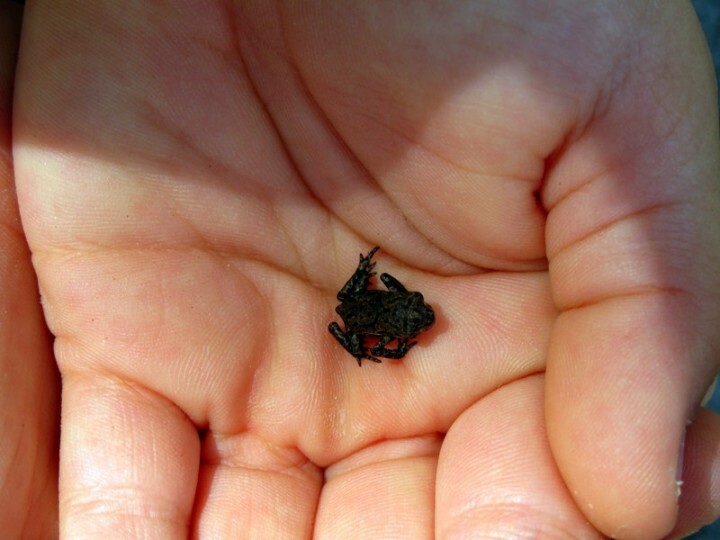 And that little toad is so tiny and adorable! This is stunning and reminds me of our western parts in the U.S.. We are going glamping in California in just a couple weeks… can’t wait! I’m totally fine with camping in a tent though lol. Thanks for sharing this. Those cabins are so cool! I’d really like to see Natterersee the next time I make it to central Europe in the summer. The hiking looks fantastic, too. Those campers are really cool and a great way to “camp” without all the work. Looks like a beautiful place with the mountains and lake…and those little frogs. They look so tiny! Looks beautiful. 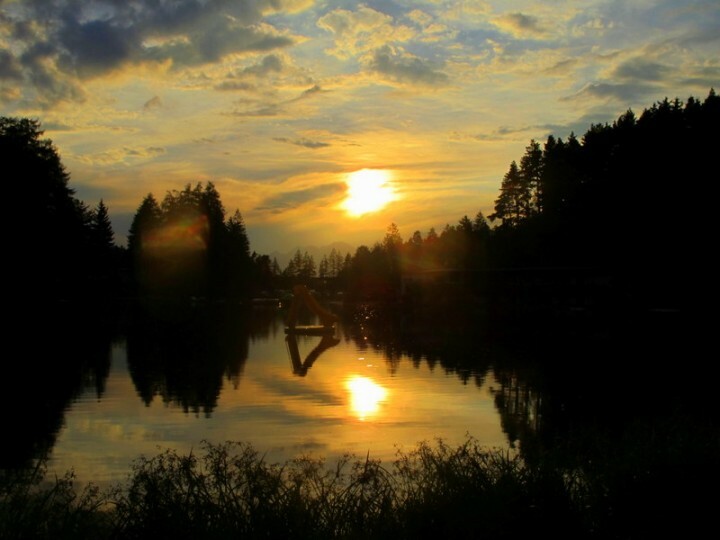 Would love to stay in those wooden cabins – very different. I also need comfort when camping – there must be good toilets and showers relatively near by. The title of this had me scratching my had at first. I love that your kiddies liked helping the frogs. Cute. Big thanks for linking up with us to #SundayTraveler once again. That frog is adorable! There’s a park in front of the house I grew up in and we used to collect tadpoles after the rain, but my mother would make me pour them away into a drain once their back legs grew out–didn’t want frogs jumping about in the house! Camping in Austria looks like an excellent summer vacation, with all those incredible views. Aw the tiny frog! 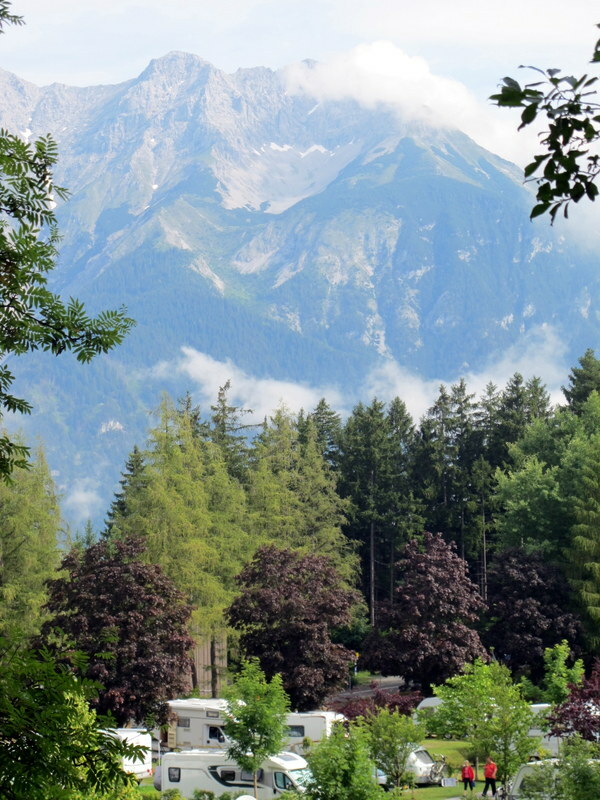 I actually spend a lot of time in Austria because my parents live here now & I’ve never been to Innsbruck… I should definitely change that – and glamping would be right up my alley, actually :) Thanks for this post! I love those tubular wooden cabins! I had never heard of the Natterersee before, but it looks like a perfect long weekend break away. Austria is so beautiful! 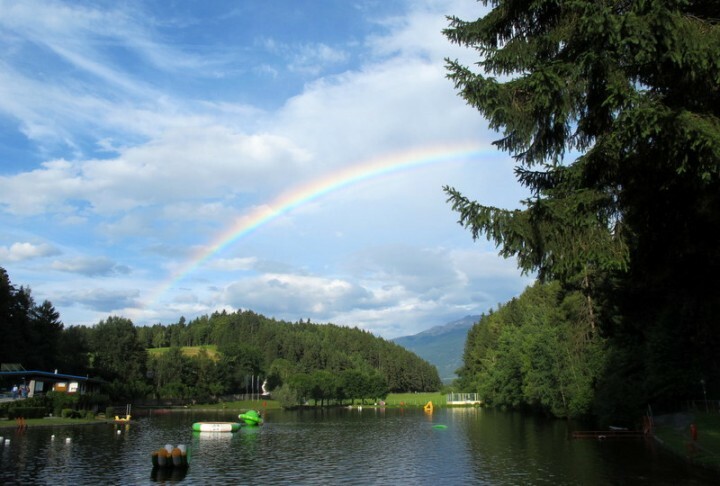 I love the mountains and lake – and the fact that you didn’t have to camp – haha :) Only 15 minutes away from Innsbruck is a nice touch – I loved that town! What a lovely little frog you found too. An idyllic location and fab accommodation – I may be persuaded camping after all!!! It all sounds like a wonderful break with breathtaking views and a chance for some quality family time together. Thanks for linking up and sharing with Country Kids. Fantastic photos as ever. This camping trip sounds like it was fun and not too challenging (my kind of camping). I love the little cabins! We have had some great camping holidays but, like you, opted for the mobile home option. Always a success and so relaxing. This site is just beautiful. Made me think of our holiday last year in Austria – breathtaking scenery. Apart from being absolutely terrified of frogs, what an amazing place. Beautiful pictures. I’m not a camper but could definitely do a luxury mobile home. I’ll leave the tents to the boys. I am definitely in the glamper, not camper, category. Those log cabins are cute and what a stunning outlook. Surrounded by beauty. If you’re going to do it, this sounds like the sort of place I’d like. Those little pods are so Eurotrendy, I love it! oh heck I am not a natural camper either! I loved this post. It just makes me want to go!! Though I am not sure about the frogs! We’re looking for a cheap ( ish ) week away in August, can you recommend anywhere you’ve been in Germany/Austria/Switzerland that won’t completely break the bank? Seems everyone is camping at the moment. Those circular cabins look really nice – wonder how spacious they are inside. Sounds/looks like a great place to stay. Wow, this place looks amazing! Those mountain views and the cute looking cabin pods. Looks like a great place for some peace and quite in the mountains for a nice hike. forgot to say at this time of the year, as I mow my lawn, those little frogs all hop like mad out of the grass in front of the mower!!! 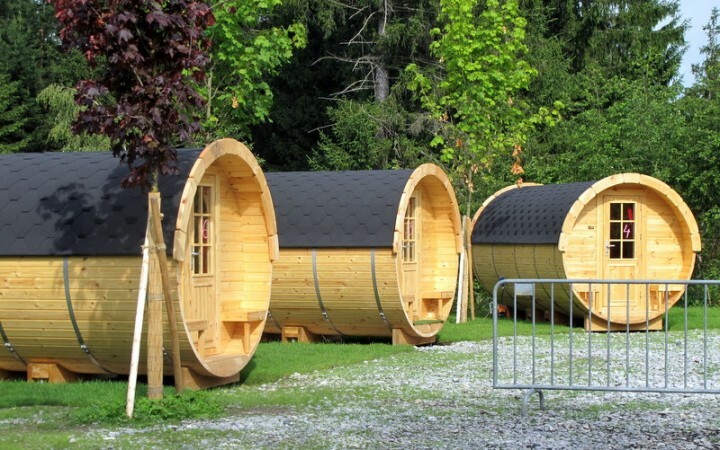 Those ‘toad of toad hall’ pods – I’ve just booked a set of them for me and my rangers to stay in in September. Not quite such a marvellous location but all the same, it counts as ‘glamping’ to us LOL it looks lovely there. What a lovely looking place – and I’m completely in love with those wooden barrel things! This is definitely the sort of camping that I would like to do. And not a muddy field in sight (those have featured highly in previous camping trips I have made Penny!) :D Thank you! The scenery is just stunning!! So pleased they picked a static home for you to stay in ;) . Love the round pod type accommodation, what do they call those?! Wow, what a beautiful place to stay. Your photos are gorgeous and I’m glad your kids enjoyed helping the tiny frogs. I have a short trip to Austria with my son this summer and I’m looking forward to it even more now I’ve seen this post. That scenery is absolutely breathtaking. What a fabulous trip. The cylindrical wooden lodges look so cute too, I wonder what they’re like inside? Oh I love this! Am a camper and a glamper. Love those tube building. Eventually, you will end up under canvas. Staggering across the campsite in the night for the loo is part of the fun? No? 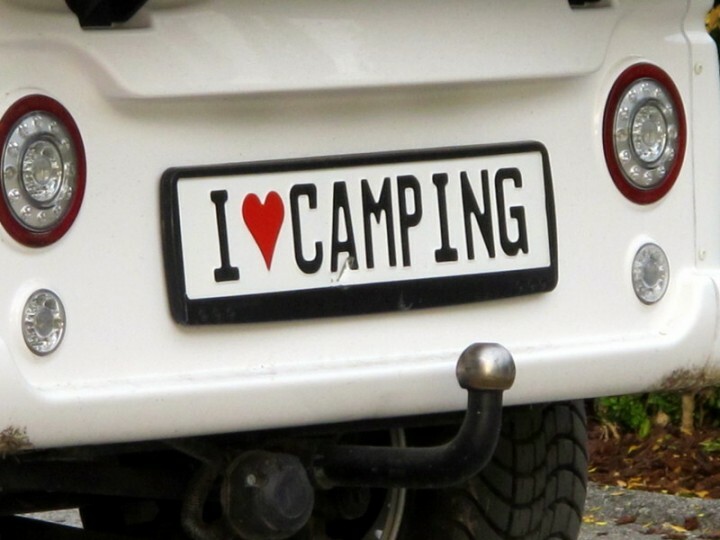 I share your love:hate of camping. I’ve found it’s easier to anticipate terrible sleep before arrival, then it’s not such a disappointment when everyone ends up wrecked! We’re just back from an awesome weekend in a yurt, which is incredibly posh compared to our usual tent, but still offers no protection to the ears when the dawn chorus begins! I just got into the habit of never looking at the clock, and dozing whenever the opportunity arose. It’s strangely liberating to never know what the time is and just listen to your body. Those wood cabins look amazing! Wow I am left without words…it’s so beautiful and I hope one day we can go there and visit too. I am convinced that my girls and hubby would love it there. What is the closest airport Emma? Closest airport would definitely be innsbruck. And quite some landing in between the mountains that must be too! :) Thanks Otilia!